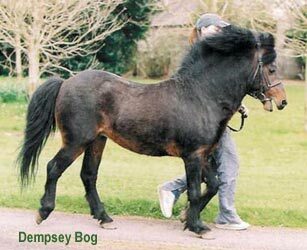 We are pleased and proud to introduce the Kerry Bog Pony to North America. "Champion Horse of the Show"
at the 1998 "Little and Large Horse Show"
Pete is shown here at his long-time home in County Kerry, Ireland. Peat is now well settled here at Thornapple Farms. 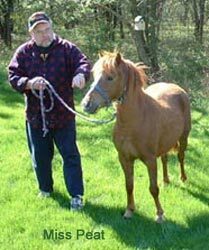 OLD PEAT IS AN ORIGINAL FOUNDATION STALLION OF THIS RARE BREED. 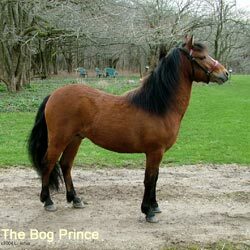 The Bog Prince is shown here shortly after arriving at the farm. When they're mature, this junior stallion will be bred to our newest addition, "The Hobby", a yearling filly who arrived from Ireland in July 2003. Miss Peat, age 4, is a daughter of Old Peat. 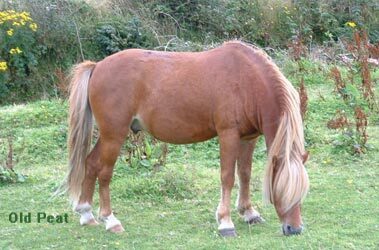 She is confirmed in foal to Dempsey Bog for a 2004 foal. This little mare has an exceptional personality. She combines a bright snappy presence with a sweet pleasing nature. Both qualities are hallmarks of these incredible little ponies. 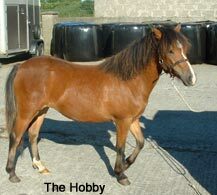 The Hobby's breeding brings independent foundation bloodlines to our breeding program. She is unrelated to all three of our stallions. 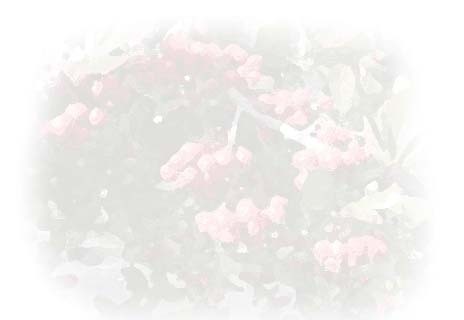 We love her sparkling personality and gentle spirit. 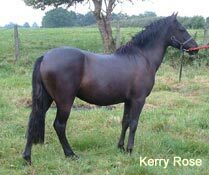 Granddaughter of Dempsey Bog, and full sister to The Bog Prince, Kerry Rose is a stunning black pony who arrived from Ireland in July 2003. She is happily paired with Old Peat, and we expect their foal in 2004.